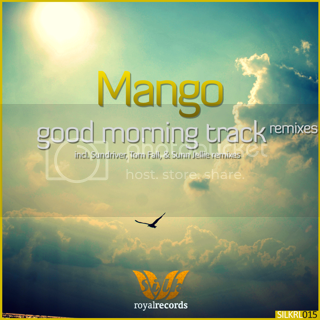 Silk Royal is honored to present a special remix package of "Good Morning Track," originally one of the most beloved works by progressive phenom Mango. First up, Polish progressive trance sensation Sundriver returns to Silk Royal with a vintage Balearic, heart-of-summer rendering. A gorgeous extended pad intro offers the listener an early taste of the beachside flavor to come, especially stunning later on in the break, when Mango's original vocal samples soar above a gentle breakbeat. Sundriver (Anjunabeats, Vandit, Enhanced), two-time recipient of "record of the week" honors on Above & Beyond's "Trance Around the World" radio show, looks forward to a slew of new releases in the latter half of 2010. Finnish artist Tom Fall brings his explosive and uplifting brand of progressive house to the second remix in the package. Coming off of his highly successful "Cubic" release, a standout on Anjunadeep's recent compilation, Tom Fall's mix captures the jubilant essence of the original. Finally, rising Ukrainian star Sunn Jellie [Armada], whose recent remix of Schodt's "You And Me" [SILKRL011] received glowing feedback, returns with a euphoric prog trance stormer. His mix features an aggressive, resonant bassline, which, coupled with the lead synths, brings a ferocious energy to the track. Following a lovely vocal solo in the break, the subsequent drop offers an exhilarating, peak-hour moment. Anyone know any good Pop song Remixes?